1. Cambodia – $1 to $2 dollar tip in hotel, restaurants and taxis are the norm. Tour guides get $10 to $20 tip for a whole day’s work. 2. China – tipping is not allowed because service charges are added at the bills. If you must tip, make sure it is out of employers’ sight. 3. India – Paying in Rupees is appreciated more than dollars. 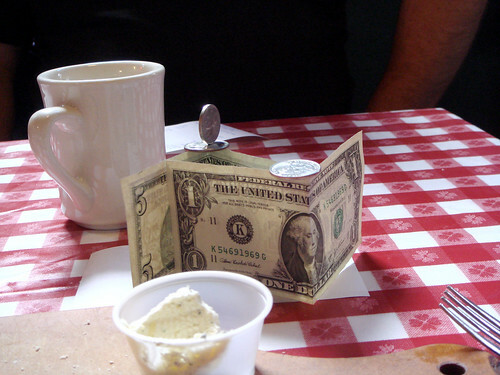 Fifteen percent tip is standard in restaurants. 4. Indonesia – Ten percent service charge is added to hotel and restaurant bills. Tipping is not necessary but giving a dollar here will not hurt. 5. Japan – tipping is not required. If you do tip, pay in yen. To be safe, always place tip in an envelope. 5,000 yen tip is customary in hotels. 6. Malaysia – ten percent service charge is already included in the bill. Tipping is not necessary but it does not hurt to give a dollar or two. 7. Pakistan – The standard tip rate is 5 percent. But it is not required. 8. Philippines – a 10 percent service charge is already included in hotel and restaurant bills. Leaving additional tip is discretionary. 9. Singapore – a 10 percent tip is the acceptable standard. 10. Thailand – $1 to $2 tip will suffice. In Australia and New Zealand, 10 to 15 percent is the standard tipping rate. 1. Belgium – a 10 percent tip is customary. 2. Czech Republic – a 15 percent tip is standard. 3. Estonia – a 5 to 8 percent tip is acceptable. 4. France – service charge is already added to the bill. However, if you must tip, 10 percent is the standard rate. 5. Italy – a 10 percent tip is expected. 6. Germany – 10 to 15 percent is customary. They also prefer to be paid in Euros rather than dollars. 7. Greece – just round up the bill. If the bill is 17 dollars then make it 20 dollars. 8. Switzerland – a 15 percent service charge is already added to the bill. However, if the service is excellent, you can always opt to add a little more around 5 to 10 percent. 9. UK – service charges are already included in the bill. If not, 10 to 15 percent tip is acceptable. 1. Canada – 15 to 20 percent is expected since service charge is not included in the bill. 2. USA – tipping is required. The standard rate is between 15 and 20 percent. Contributed by ezCater. ezCater is the easiest, most reliable way to find and order Seattle Catering.